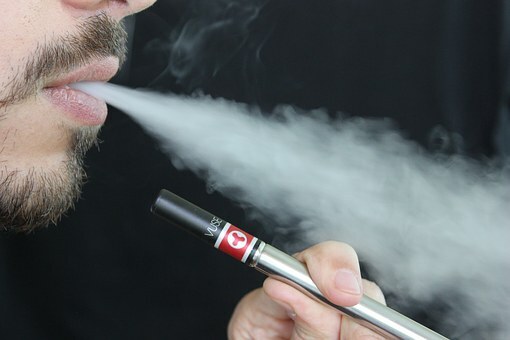 There are quite a few reasons that e-cigarettes are gaining so much popularity. The benefits of switching from traditional tobacco cigarettes to e-cigarettes are enormous! First and foremost, most people are excited to change from tobacco smoking to e-cigarettes for health reasons. We all know that smoking tobacco cigarettes isn’t healthy. The Surgeon General has been driving that point home for decades, but e-cigarettes don’t have the toxins and tar that regular cigarettes have. They don’t contain tobacco either, so you still get the nicotine you crave without ingesting harmful chemicals and carcinogens produced by burning tobacco. You can also even control your nicotine intake with e-cigarettes. E-cigarettes are also much more socially acceptable. With e-cigarettes, you don’t cause people to inhale dangerous second-hand smoke. In fact, they provide you with the freedom to smoke almost anywhere because with e-cigarettes, you are not bothering anybody! Then, with e-cigarettes, there is the fact that you don’t stink! There is no smoke smell in your hair or house, or on your clothes or furniture. You may instead smell a more pleasant aroma, such as vanilla, strawberry or whatever scent you choose…and even that scent won’t linger. You also won’t have the yellow teeth or smoker’s breath that tobacco smoking can cause. And if you are environmentally conscious, e-cigarettes provide an added bonus. They are environmentally friendly. With e-cigarettes, there are no butts to toss, so they are not hazardous to the environment. Hey, you may even make Smokey the Bear smile because, with e-cigarettes, you won’t be starting any forest fires any time soon. The fact that they don’t have a burning ember, make them safer in your home too. Another great benefit of e-cigarettes is that they are so much cheaper than tobacco smoking. After the initial investment, refills and e-liquids may only cost you 20% of what tobacco cigarettes cost.